Moscot is only available in store. We do not sell Moscot online. This frame is based on The LEMTOSH silhouette, but with a slimmed down look, a thinner gauge, and a key hole bridge that's just a bit more business. They say not to mix business with pleasure, but we couldn't help ourselves. 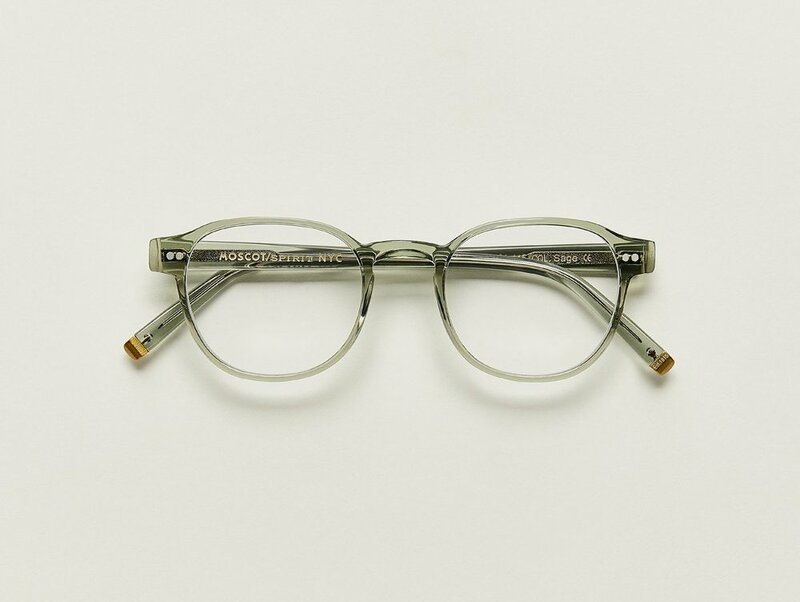 There's nothing cheap about this new MOSCOT Original frame. In fact, with its LEMTOSH meets MORRIS-like frame shape, you're practically getting two frames in one! A tad bit more square, and with sharper edges, The BILLIK also features paddle temples with grips that really pay off. An evolution of The NEBB, this timeless classic is the Switzerland of frames: clean, beautiful, useful for business, and plays nice with everyone...or rather, looks good on every single person on the planet. With subtle clean lines, and a full-vue shape, The FRANKIE is the epitome of cool, just like our own Frank, aka, Frankie, who has manned the MOSCOT counter for over 40 years and counting. 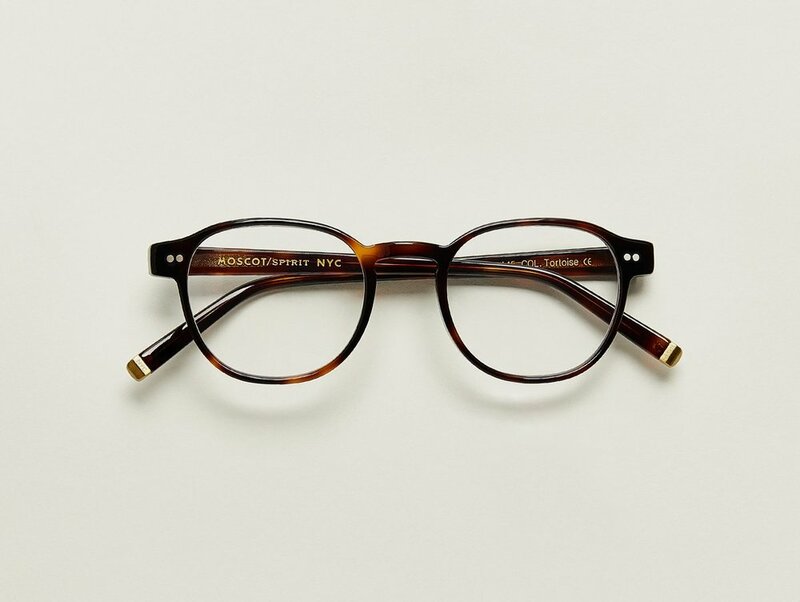 An iconic frame for an iconic man...and a true MOSCOT character. With familiar hints of The FRANKIE, The JARED is classic in its shape, but with added height and a bit more 'tude...but still really nice and polite, with a matching acetate clip to boot. A little bit square and a little bit round, The JESSE fits most faces effortlessly – so effortlessly you'll feel like you're Putting on your favorite pair of jeans... only on your face. When Hyman arrived on Ellis Island 119 years ago, he heard, "What is your name, where are you from?" shouted from a distance. Although the ground was not paved in gold as promised, we wanted to honor his ambitious thinking by launching a Special Edition of the treasured LEMTOSH. The round, full-vue MILTZEN, first introduced in the 1930s, is eponymously named for our Uncle Heshy, who inexplicably everyone called Uncle Miltzen. And it stuck. So there you go, world... The MILTZEN. They say imitation is the sincerest form of flattery – how zis (cute)! The ZIS incorporates the classic elements of The DOV while still hanging on to a personality of its own. Valued for its versatility and traditional fashion, the panto-style is simple, but forever. Similar to The BRANDON, the square-shaped PAT is good-looking, comfortable, and smart... only bigger... and taller... not that size matters. Fasten your seatbelts for a flight back in time. The SECHEL is ripped right from the faces of daredevil biplane pilots and barnstormers who tore up the skies in the late 1950s. Lucky for you, The SECHEL is just as useful on land. It doesn't get any more cool and classic than this the perfectly round ZOLMAN is great Grandpa Sol's frame. Yes, that great Grandpa Sol. As we said, cool and classic. Fun fact: Zolman was Sol's name on his birth certificate. The ZAYDE may be bold and draw attention to itself - just like your grandfather - but our ZAYDE is old school, not old timey. With its classic square shape, and sharp edges around the bridge to give it extra character, this is the one time you won't mind being called a grandpa (or grandma). "Genug iz genug!" Uncle Heshey would declare every day – 8pm sharp – ready to close up Shop. When it comes to The LEMTOSH there's no such thing as closing time, so 5th Generation, Zack Moscot, got to work creating its leaner twin. With a silhouette that stays true to the timeless, clean lines of our beloved LEMTOSH, we're absolutely sure you will never get enough of The GENUG! Gittel was not only a masterful seamstress, but also a lovely lady who got to know Grandpa Sol quite well. In her years stationed next door to the Shop, Sol used to frequent her expertise when it was time to tailor his shirts. She paid close attention to detail and was always recognized by her perfectly round spectacles. Hey Gittel, thanks for making Sol look sharp. This one's for you! "Be a lion!" 3rd Generation, Joel Moscot used to say as words of encouragement. With that in mind, we give you The LIEB. Flaunting charactertics that are bold yet stately, it's time to rock a piece of geometric metal with confidence. And while you're at it, slip on a Clip-on to complete the look. "Look at that Punim" was a phrase heard all too often upon entering Grandma Sylvia's house for family gatherings. No matter the occasion, cheeks were pinched and kisses were had. For that sentiment alone, we present The PUNIM, new for SS18. Many years later, we can only imagine the expressions the gang would have said with this latest Classiconic launch. No matter what type of empire you sit atop of, you'll project an air of strength that says you're not to be trifled with...even if you're just leader of the pack. 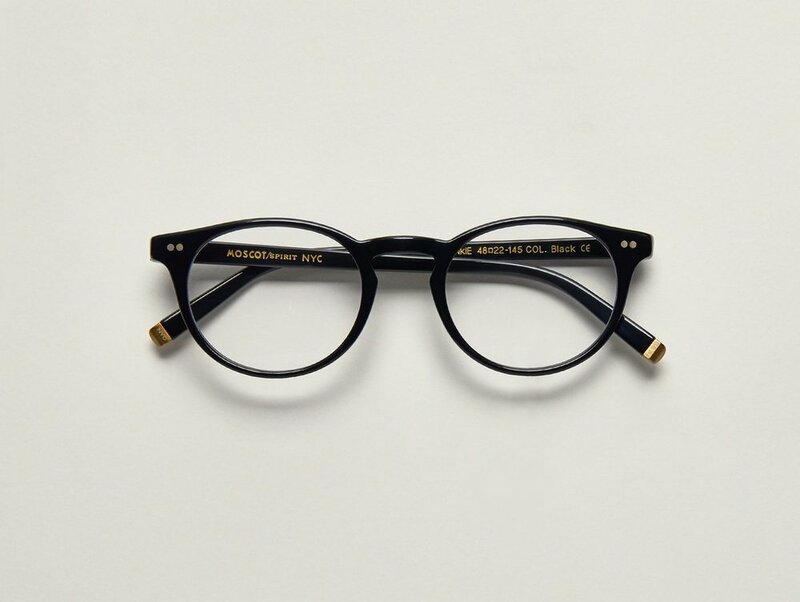 Whether you're blazing trails, breaking rules, or changing games, these classic frames, reminiscent of Malcolm X's, will help you make a statement political or otherwise.